The Indian Team lost the second ODI against England at Lords, by a huge margin of 86 runs and let the series hang in the balance at 1-1. However, there were some moments which brought a smile on everyone’s faces; for example, a guy proposing a girl in the first innings and Indian cricketer Yuzvendra Chahal did his best to entertain the crowd in the second innings. The crowd were getting bored and it was hard for the Indian batsman to score runs on a slow pitch, even MS Dhoni could not score runs at a good speed. The credit goes to the English Spinners, Adil Rashid and Moeen Ali who bowled spectacularly and kept the Indian batsman at bay. Dhoni was out on the 47th over and this brought Yuzvendra Chahal to the crease. England were in the mood to finish the match early but Chahal was in no mood to return early. He raised his bat to the dressing room as if he had scored a half century just after hitting his first ODI boundary by playing a good straight drive on David Willey’s bowling in the 48th over. 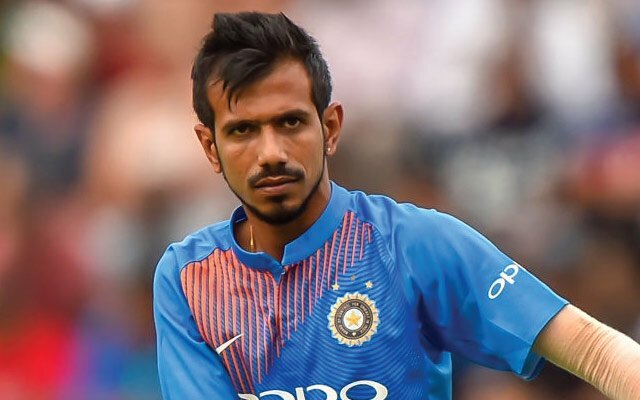 As Yuzvendra Chahal raised his bat, everyone in the dressing room started laughing and they laughed more when later he was trying to take a run but the batsman on the other end refused and Chahal dived to save his wicket. His actions entertained not only his team members but also fans who had nothing else to do other than waiting for the match to end. The third ODI will be played at Headingly and it will also be the decider of the series.